Did you know that according to 2013 CDC findings, nearly 50% of the general population will deal with a mental health issue over the course of their lifetime? It’s true. And when people don’t receive the right support and treatment for those issues, many begin abusing substances to mask the pain they feel. As the 2013 CDC report notes, mental illness is associated with drug and alcohol abuse. What’s the Connection Between Alcohol and Depression? Depression is one of the most common mental health issues that gives rise to addiction. 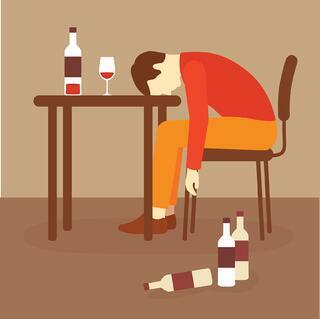 In many cases, alcoholism is a direct result of a mood disorder such as depression. In turn, the depression itself is caused by a deeper underlying emotional issue. 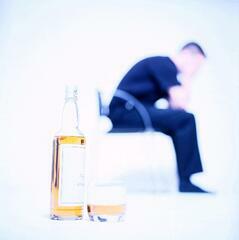 The bad news is that depression increases the risk of alcoholism and substance abuse. The good news is that when an individual’s dual diagnosis recovery program addresses their depression effectively, they are empowered to break free from the addictive cycle of alcoholism. A person usually doesn't suffer from alcoholism or substance abuse alone. 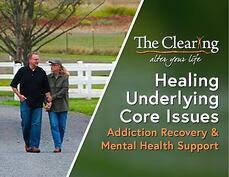 Instead, there are underlying issues - such as anxiety, trauma, and depression - fueling the individual’s addiction. The psychological term for this phenomenon is Dual Diagnosis, and it’s more common than you might think. According to the National Alliance on Mental Illness (NAMI), about 9.2 million adults in the United States have co-occurring mental health and addiction disorders. Many in the recovery field believe that this number is significantly underestimated. When people view memories and experiences through a lens of judgment, fear, and self-loathing, the result is that they "hold" events as traumatic. Thus, they may be clinically depressed, for example, the result is still an underlying emotional issue that drives a limiting behavior like addiction. In The Power of Habit: Why We Do What We Do In Life and Business, author and researcher Charles Duhigg discusses the power of habit loops to shape behavior. He outlines the habit loop: a cue triggers a habituated routine leading to a reward, and in turn the reward reinforces the previous behaviors and starts the cycle over again. For example, perhaps you’ve had a tough day at your stressful job. Maybe you swallowed your mounting anger as you received some unfair criticism or covered for a co-worker’s laziness. You’ve been trying so hard at work, but secretly you wish you could quit and do something else. Driven by these thoughts, you move into your usual drinking routine, be it going to the bar or buying liquor at the store. Most likely, you have a preferred ritual, be it your usual seat at the bar, or your usual glassware for wine at home. Once you’ve set the routine in motion, the reward - that is, the alcohol - comes into play. At first, drinking lifts you out of your body and above your anger. For a little while, you might feel less trapped. But then comes the hangover, the remorse, and the realization that you haven’t actually escaped your anger after all. Part of effective recovery and relapse prevention entails creating new rituals to replace the ones driven by drinking. What will you do and who will you call when you find yourself tempted to drink again? That said, all the planning in the world won’t help you if you keep trying to bury your feelings and gloss over deeper issues. Once you’ve worked to heal the emotional wounds that drove you toward alcoholism in the first place, you have a real chance at making healthier behavioral choices. While it’s true that routines and rewards are an important part of the addictive cycle, it’s also true that the cue, sometimes called a trigger, comes first. Without the cue, the rest of the habit loop doesn’t happen. 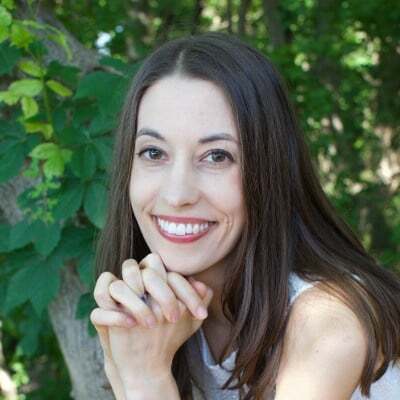 When individuals do the mental and emotional work of confronting their core issues, they remove the cue, thus stopping the loop before it starts. Unfortunately, many recovery programs put the cart before the horse. Such facilities focus on behavioral modification without first dealing with the emotional and mental issues behind the addictive behaviors. Behavioral therapy is part of the solution, not the whole solution. While it is true that the 12 Step approach has a spiritual component and focuses on “clearing away the wreckage of your past”, it is not a clinical approach intended to address deep mental health issues. Indeed, when deeper emotional issues are at play, some of the 12 Steps’ tools may even trigger instability or regression. As a result, individuals dealing with deep seeded depression (or anxiety, PTSD, self-loathing, ADHD or other mental disorder) don’t get the help they need to move into recovery.